Gone are the days when the word classroom brought to mind an image of a dusty blackboard, chalk or the dim light from an overhead projector machine. Instead we think of smart boards, computers and other technology. Libraries and books as reference material are supplemented by the internet, blogs and Google which are available at our (and our students!) fingertips. This two part integrated course, Technology Today, helps to bridge the gap, enabling safe implementation of technology in classrooms and preventing misuse by either students or adults while promoting effective learning. The course was very informative. I learned a lot! Monica E.
The course is very basic. I'm glad that you do have it. It will be great for teachers who are new to technology. It can be helpful for them. This was a great course. I really gained some valuable information. Great class and helpful information. I enjoyed and learned a lot from completing this self-study course. I would like to see video examples of the discussed topics. I liked the descriptions of each type of technology that you can use in the classroom. Quite a lot of it was new to me, like the use of blogging and live binders in the classroom. It gave me a lot of ideas that I can use to incorporate these things into my classroom. Thanks! As always, this course meets the requirements for re-certification. Technology Today, was an excellent on-line course. It was very informative, and I learned about new technology issues happening in this world today. It was very easy to continue where I left off. I would recommend this program to others. Thank You. This is very convenient for me to do at home. Enjoyed the class so far. The internet links will be helpful for the upcoming school year. Thanks! This was an informative and useful course. I appreciated the shortcuts to websites for further information. There have been so many changes in the last few years, without training and keeping up with technology, it makes it difficult to sub with confidence. Although, I will say, the children are very proficient at 'helping'. I really liked the videos in this course and the embedded links to topics discussed. Very useful!! I learned much from this course. I learned much from this course. Thank you so much. I am able to renew my teaching license thanks to your PD online course. This was most informative, as I have been retired for a few years. As a substitute teacher, with a professional license, this course added to my knowledge regarding what's new. I am very pleased with the content and format of all the PLB courses I have taken thus far. One of the most helpful aspects of this website is that one is able to view which courses are aligned with each state's requirements. Great work! Will continue to take more courses on PLB! Also, love receiving emails regarding special pricing. This course was extremely rich in applications and resources for the classroom. Very glad I can come back to this course and utilize the information again and again! Thank you for all of the resources provided by this course. Much appreciated! I like learning via my phone while on-the-go! This course provided me with numerous resources and links that I will use in the classroom. 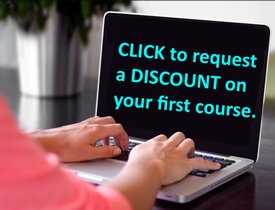 The course is an excellent survey of 21st century educational technology! I would recommend it to all educators. This is the second PLb course I have taken. I am really liking them. I just wish I had discovered them earlier.